UPDATED: After days of jockeying and one-upsmanship, the Texas House and Senate each approved measures Wednesday evening critical to passing their next two-year budget. 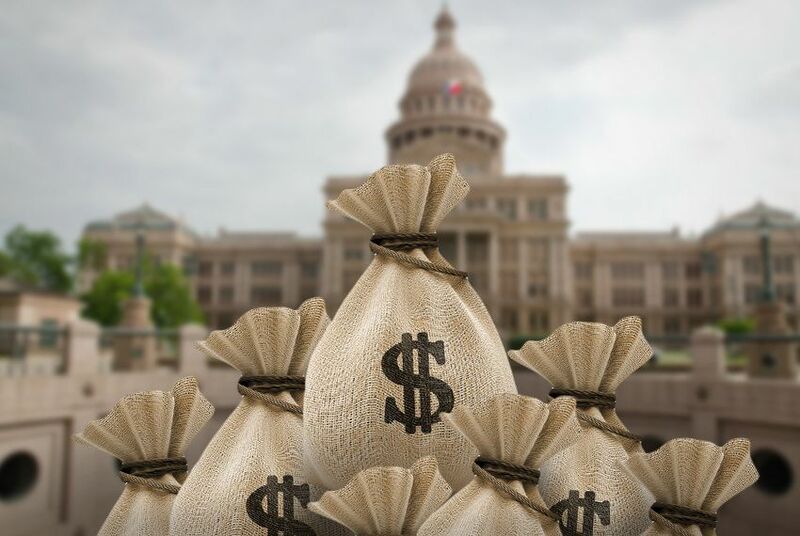 After days of jockeying and one-upsmanship, the Texas House and Senate each approved measures Wednesday evening critical to passing their next two-year budget. "The results of these two bills together is a good conservative budget, and it’s something we can all be proud of," said Senate Finance Chairman Tommy Williams, R-The Woodlands. With just five days left in the legislative session, both chambers needed to at least tentatively pass separate measures by midnight as part of a larger budget deal agreed to by leaders from both chambers last week. The Senate voted 29-3 for House Bill 1025. Sens. Dan Patrick, R-Houston; Ken Paxton, R-McKinney; and Donna Campbell, R-New Braunfels, voted against the measure. Senate Joint Resolution 1 passed the House 130-16, meaning it crossed the 100-vote threshold to avoid coming up for a second vote on Thursday. The measure approved by the House would ask Texas voters to amend the state Constitution to create a new fund for water infrastructure projects. The Senate passed a $5.4 billion supplemental budget bill that would, among other things, put $2 billion in that new fund. The negotiations over how exactly to approve the two measures exposed deep tensions between the House and Senate as lawmakers on both sides pushed for the other chamber to move first out of concerns that the other side might not keep its word. Ultimately, Williams brought up HB 1025 at 5:45 p.m. While senators were still discussing that bill, the House began debate on SJR 1 just before 8 p.m. The House’s Tea Party contingent put up a noisy fight against SJR 1, arguing it was made up of accounting gimmicks and was fiscally dishonest. The chamber’s budget writers — at times exasperated — said they were letting Texas voters decide if they wanted to spend the money to alleviate the state’s water problems. House lawmakers shot down two amendments — one by state Rep. Charles Perry, R-Lubbock, and another by state Rep. Van Taylor, R-Plano — to try to put constitutional limits on water funding from the state’s Rainy Day Fund. “We’re fundamentally changing the way we’re going to do state budgeting going forward,” Perry argued. House Speaker Joe Straus praised his chamber for passing the measure. "The House took an important step today toward securing the reliable water supply needed for continued economic growth," Straus said. "In the coming days I expect the House to conclude a very successful session by taking the final votes necessary to address our water needs, pass a balanced budget, improve public education and make state government more transparent and efficient." The Senate discussion on HB 1025 prior to the vote was far more subdued. Though they all voted against the measure, neither Paxton nor Patrick nor Campbell spoke against it. Several senators praised Williams' work toward a budget deal with the House. “We should all feel very proud of the accomplishments that were made in the process,” Davis said. The $5.4 billion bill laid out by Williams is more than six times larger than the $875 million version that passed the House last month. It includes the two costs critical to a budget deal: $2 billion for the state water plan and $201 million for public schools. It also spends $1.75 billion to undo a budget gimmick lawmakers employed last session to make the budget appear balanced and $185 million to cover costs related to wildfires in 2011. The bill would spend $3.9 billion from the state's Rainy Day Fund. Absent spending from the fund this session, its balance is expected to grow to $11.8 billion by 2015. Williams said the amount of extra spending for public schools in the budget deal, about $4 billion, was something every member of the Legislature can be proud of. “What we have is a system that has never been more equitable and has never been funded at a higher level,” Williams said. State Sen. Robert Duncan, R-Lubbock, was pleased about $450 million in House Bill 1025 for the Texas Department of Transportation to fix roads in counties experiencing an oil drilling boom. “It’s an investment that helps the industry that’s basically driving our economy right now,” Duncan said. Campbell voted for the bill when it came up for tentative approval but then voted against it on the final vote. She said she wanted to move the budget deal forward but wanted to see more funding for transportation. She also said she was unhappy that HB 1025 includes Rainy Day Fund spending on a public education expense. "I would have preferred to see spending from the Rainy Day Fund used only for one-time capital expenditures," Campbell said. The game of legislative chicken between the House and Senate over a complex budget deal continued for a third day on Wednesday but appeared to be headed toward a breaking point by early evening. Both the House and Senate are facing pivotal deadlines on measures central to a budget deal hashed out last week. On Wednesday morning, budget leaders in both chambers signaled a continued unwillingness to blink first. Finally, on Wednesday afternoon, Senate Finance Chairman Tommy Williams, R-The Woodlands, announced on Twitter that he plans to lay out a reworked version of House Bill 1025 on the Senate floor sometime after 4 p.m. It is unclear if he plans to just introduce the measure or allow the Senate to vote on it. He could have the Senate tentatively approve the measure but delay final passage until the House moves on Senate Joint Resolution 1. House leaders have said they want to see what the new version of HB 1025 looks like before they move forward with SJR 1. With little debate, the House voted 148-1 to suspend its rules to delay by a day voting on a measure critical to a budget deal this session. State Rep. David Simpson, R-Longview, was the sole opposing vote. The move was the latest sign of straining relations between the House and Senate in the waning days of the legislative session. House Appropriations Chairman Jim Pitts, R-Waxahachie, said House members are waiting to see the details of another bill key to the deal, House Bill 1025, before they move forward with Senate Joint Resolution 1. The Senate is expected to bring up HB 1025 on Wednesday. Meanwhile, the Senate approved House Bill 7 on Tuesday, which includes refunds of $630 million from the state's System Benefit Fund to residents and businesses. Williams has said those refunds are crucial to the budget deal approved last week. House budget leaders have said they never agreed to that. House Speaker Joe Straus announced Tuesday evening his plan to delay consideration of a must-pass resolution related to a broader budget deal until Wednesday. Senate Joint Resolution 1 would ask Texas voters to approve the creation of a new water infrastructure fund. Tuesday is the deadline for the House to approve such resolutions. State Rep. Jim Pitts, R-Waxahachie and the House's chief budget writer, said the House will vote later Tuesday to suspend the House rules so that SJR 1 could be brought up Wednesday. Such a parliamentary maneuver will require the support of 100 members in the 150-member House. SJR 1 will also ultimately need that much support to pass because it involves an amendment to the Constitution. Pitts said the decision to delay the vote was made because House members, both Republicans and Democrats, have expressed frustration that the budget deal hinges on a rewritten version of a bill that they still haven't seen, House Bill 1025. The Senate is expected to take up that bill Wednesday and make changes that are central to the budget deal, including adding $200 million to public education. To approve a two-year budget and avoid a contentious special session, the House and Senate need to pass a handful of measures, including one that must pass the House on Tuesday. The deal that House and Senate budget leaders agreed to last week includes the carefully coordinated amending and passing of either three measures or four, depending on whom you ask. If all of those bills don’t pass, the budget deal could fall apart, pushing lawmakers into a special session. "We reached tentative agreement on a new budget over the weekend and now are trying to line up all the dominoes to fall in the right order so we can end the legislative session on Monday," Senate Finance Chairman Tommy Williams, R-The Woodlands, wrote in a message to supporters Tuesday morning. "The budget — Senate Bill 1 — hinges on passage of SJR 1 and House Bill 1025 — the supplemental budget — and also on us providing $631 million worth of utility fee rebates to ERCOT electric customers in Texas." Those utility fee rebates remain a point of contention between the House and Senate. While Williams has maintained since Friday that the $631 million in rebates are part of the deal, House budget leaders have since denied that they ever agreed to that part of the plan. Williams has said that refund is a crucial part of the overall tax relief package he hopes to deliver to Gov. Rick Perry, who has threatened to call a special session if he does not see $1.8 billion in tax relief passed this session. Also at play is $200 million for public education that Senate leaders have agreed to add to a supplemental budget bill either Tuesday or Wednesday. Some House Democrats have expressed concern that senators will renege on that promise. Senate Bill 1: The two-year budget is the only bill lawmakers are constitutionally required to pass during the legislative session. Budget conferees on Friday approved a version that resolves differences between the House and Senate drafts. The Legislative Budget Board is expected to release a final version of the budget this week. Senate Joint Resolution 1: Under the budget deal, this resolution would ask voters to approve the creation of a state fund dedicated to water infrastructure projects. Under House rules, Tuesday is the last day for the House to take up the resolution and move it forward. House Democrats have expressed interest in waiting on the Senate to pass a different bill, House Bill 1025, to make sure that the Senate will keep its word and add $200 million. House Bill 1025: This is a supplemental budget bill that the House passed last month. Lawmakers approve these types of measures every session to address unpaid bills in the current two-year budget cycle, which ends in August. As part of the budget deal, the bill has also become a crucial vehicle for lawmakers to fund water and education. The Senate is supposed to amend the bill to appropriate $2 billion to the water fund that will be created in SJR 1 as well as add $200 million in extra funding for public education. This bill does not have as pressing a deadline as SJR 1. The Senate can wait until Wednesday to pass HB 1025. Those involved with knowledge of the budget negotiations say senators plan to wait until the House passes SJR 1 before the Senate will move forward with HB 1025. House Bill 7: This bill from state Rep. Drew Darby, R-San Angelo, includes a provision allowing the state to refund money from the System Benefit Fund to residents and businesses. Williams has said the budget deal in place includes both chambers approving refunds of $631 million from the fund, which has a balance of more than $800 million. House budget leaders said Monday that they agreed to no such deal. The Senate is likely to take up the bill either Tuesday or Wednesday. Brandi Grissom contributed to this report.